As promised, here is the transcript of our recent podcast interview with Vanessa Meredith. We caught up with Vanessa last week to discuss her experience earning her master’s degree online from Post University. She shared some inspiring insights from the perspective of an adult learner and an academic advising professional. Vanessa has been in academia for 14 years, and is currently an academic adviser at a New Jersey university. She returned to school to get her master’s degree in human services to further her career goals. Vanessa was familiar with other online degree programs due to her background in academia, but chose to study at Post University because she thought the university was doing online education the right way. In case you missed it, flip back to our podcast, or read the transcript below. No matter what kind of student you are (or soon will be! ), I hope you’ll find Vanessa’s story as inspiring as I did. Janelle: Hi, everyone. I am Janelle Kozyra, your host for a Post University podcast. I am joined today by Vanessa Meredith who just graduated from Post University. Hi, Vanessa. Welcome to the podcast. Janelle: So why don’t you start by filling us in on your post-secondary education and how Post fit into that. Vanessa: OK, sure. Well, when I graduated from Rutgers with an undergrad in psychology, I thought maybe an MSW would be the way I’d want to go. Started it at Rutgers and didn’t like it. So then things got a little hectic with work and I thought let’s see if there’s anything online that I can do for a masters. I did a lot of research, found Post University. As it happens, my mother’s side of the family grew up in Connecticut, so I have some links there. And when I saw that they actually have the online human services, it seemed to fit perfectly with what I wanted to do. So I started and it took me 18 months and I’m happy to say I finished and loved every second of it. Janelle: So were you working at the same time that you were completing your masters of science in human services? Vanessa: Yes. I’m a full-time employee in academia. Janelle: Okay, so what was it like, then, to take these courses online? And tell us about how you juggled education with your working life and all the other responsibilities that you have going on. Vanessa: Well, I really appreciated Post’s use of Blackboard for this online learning. I found that actually being an online student made me more accountable to actually learn the material as opposed to sitting in a classroom and listening to the instructor lecture and maybe classmates respond instead of my just saying, yes, that’s what I say, too. I actually had to prove my learning knowledge and share it in discussion board. And I thought I would spend about as many hours a week as I would have in a classroom environment where it’s three hours of lecture and then four or five hours off that doing coursework. And while that really was the case, it wasn’t chunks of time. I could do it over the course of a full week and I did find it to fit into my lifestyle very neatly. Janelle: So how much did you know about online education before you dove into this to getting your online degree from Post University? What was some of your initial thoughts about online education and then how did you sort of decide that an online degree from Post would be the right step for you? Vanessa: Having worked for universities before and seeing that Post University has had this online component for a few years now and the other schools with whom I worked were still — this online was still in its infancy for them, I thought, all right, Post has the handle on how this is supposed to work and they’re going to be the ones that are going to do it right and I’ll have a great experience. And so I figured they were sort of like, of the schools that I was familiar with that was doing online, Post was far and above where these other schools were. So I knew what was involved in online learning as far as potentially how instruction was given and how things would be turned in via discussion board and e-mails and things like that. So I was pretty prepared for that and I found that Post, compared to others, was a much cleaner setup. And I never had a problem trying to log in or post anything while a student at Post University, where I heard horror stories from the other institutions with whom I’d worked that they just didn’t have all the kinks worked out and Post seemed to. Janelle: So you mentioned that you work in academia now. Can you tell us more about what your position is? Vanessa: Sure. I am actually an academic advisor. So I advise undergraduate students and, as it happens, the school for whom I work is completely online. So our school, we have brick-and-mortar buildings, but we don’t offer classrooms or courses on campus. We do everything online via Blackboard. Janelle: So you’re very familiar with the whole online approach. So in your perspective, why do you think online education is such an important component of education overall today? Vanessa: I see so many folks going back to college after the traditional school age. So you have working adults who are managing work, family, potentially other obligations like volunteering, who want to go back for a degree. It’s the one misconception I want to say right now, I want to debunk this is that online doesn’t equal easier. I really do believe that online equals better learning. So if folks don’t have the time to go sit in a classroom for three hours on a Wednesday evening once a week but they want to have that education, then going through online is the way to go because you can structure your time as is best for you. And I think it keeps you engaged knowing that this isn’t going to ruin my son’s soccer game because I have to go sit in a classroom. I can do this when we get home after dinner or something along those lines. And I do, again, feel that you’re more accountable to the actual learning by doing it online because of the discussion board and assignments that are expected. Not only do you have to in all the cases in the classes I took was post a comment to an assignment, but then I also have to give intelligent responses to other classmates’ posts. And so that’s demonstrating your learning. And I think you just find you learn more when you have that accountability via online as opposed to a classroom environment. Janelle: So then looking back on your undergraduate experience which was you mentioned was at Rutgers, so that was on campus? Vanessa: It was on campus. Janelle: And then you compare that to your experience getting a degree online. In what ways do you feel that your online learning was, perhaps, better than your on-campus learning? Vanessa: So when I was getting my undergrad, I’ve never been a traditional student. I’ve always consider myself a perpetual student and I’ve been going to school for 14 years to get my degree. And not to give away my age, but I have a 17-year-old son and I’m established in a career and all that. So when I was going back to Rutgers, I chose Rutgers because it was an affiliation with my employer at the time. And I appreciated some of the camaraderie that went along with the classroom environment because I did find folks in like situations. But that was for undergrad and that fit that purpose very nicely. But then wanting more, going to the online I didn’t feel the need to have to have classmates for study group or anything like that. It was more about my moving forward in my personal growth and my career than just kind of creating relationships in a classroom or what-have-you with the learning in the classroom. Janelle: So what discipline are you an academic advisor for right now? Vanessa: I actually advise for bachelor of arts degrees under a multitude of concentrations. Janelle: And how did you feel that your masters of science in human services would help you in that career? Vanessa: I used the information I gleaned through my masters insofar as the helping aspect of advising. Adult learners tend to be a little more concerned about how they’re performing in classes, what their next steps are going to be to successfully complete their degrees. So I find that being able to, not only offer like a counseling ear, but also having been that student in the same position or similar position that they’re in, can then impart my experiences on them and maybe help them feel a little less stressed about where they’re moving. The other thing in which I’m using my degree is a lot of volunteering that I do. I work, volunteer at a nursing home and I read for the blind. Janelle: And how long have you been an academic advisor, right now in your current position? Vanessa: I’ve actually been in my current job for about six months, and prior to that I was an assistant registrar and program coordinator for a graduate program, also for a university in New Jersey. Janelle: How were you able to move into the position you’re in now? Vanessa: By having a masters degree. It was a requirement of the position. Janelle: Great. So let’s talk about some of your experience with the admissions counselor, Michele Rodrigues. Tell me about what your experience was like with her. Vanessa: I am glad you’re going to let me talk about Michele. She was fantastic. She was my first point of contact when — she was the first person I spoke to at Post. The very first phone call I ever made to Post was answered by Michele and she was the best cheerleader I could have ever asked for. I do not exaggerate when I say that had I not had the conversation, the upbeat conversation that I had with Michele, I don’t know how quickly I would have jumped on becoming a Post University student. She was phenomenal. She put me at ease immediately. She was just fantastic. Janelle: What were some things that she told you? Vanessa: Well, we talked about where I was in my career seeking and my education background, like what I was looking to accomplish and why I thought maybe human services would be a good fit. And she just imparted some encouragement. And when I shared some information about my personal history as far as where I wanted to see myself and she was just so encouraging and just gave information about the other folks at Post which whom I would work, like my advisor and financial aid, and how everybody is very accommodating at Post. And I have to say, that has rung true throughout my entire academic career at Post. Janelle: So did you keep in touch with her while you were earning your masters degree? Vanessa: I kept in touch with her throughout and still in touch with her today. Janelle: And I understand you recently told Michele that you wish Post had a Ph.D program so that you can enroll again. Vanessa: Well, I would love to continue my education and I’ve been in academia for 14 years, so it looks like this is pretty much going to be my career. So the next level up would have to be a Ph.D if I see myself as an administrator of some type. Janelle: And why do you feel so strongly about Post? Why would you be proud to have a Ph.D from Post if the school did offer that program? Vanessa: Well, you know what? I’d have to say a lot of it has to do with my personal convictions. There, when I was speaking with Kathleen Ring who was my former advisor at Post, one of the conversations we had, I had told her of my feelings of affection and respect for Vietnam veterans, and she shared with me information about Post University creating an accelerated degree program aimed at helping Vietnam veterans re-enter society and the workforce. And that really, I have the utmost respect for Post administration and the institution itself for doing such a thing. So to have that connection with Post, that would make me very proud. On top of that, of course, the academics I think were tremendous. Online learning isn’t easy and to have faculty members in every single course that I took be completely on target, accessible, knowledgeable, and just excellent instructors, you have to be a good teacher to be an online instructor, and I found that to be the case in every course at Post. Janelle: So looking back, then, over your experience, earning a degree online from Post and, I mean, there are probably many listeners tuning in to this podcast that are perhaps considering going back to school. They might be working adults. They might have children and husbands and wives and lives that they’re deeply embedded in and education and going back to school seems like something that is just very difficult to swing right now. So what would be some of your words of advice for them to help them realize that an online degree is possible and getting that higher education is possible. Vanessa: Well, I would say to those who are thinking about it, if they really want it, there’s nothing holding them back from getting it. Post University is exemplary in helping you get there. They don’t just have lip service. They actually follow through on what they say they’re going to do with you. The communication is there. Now, as a returning student or an adult student, we do have responsibility to take care of ourselves as well. So if we ever have any questions and need to reach out, Post faculty and staff are there for you. It’s not so insurmountable, I mean, when I went to Post, I had a son in high school, I was newly married, I was in a career where I had some transitions, so there’s always something going on in everyday life that can make you say I don’t have time or I can’t do it. But you’ve got to make the time and Post makes it very easy for you to do that. And it’s not terribly expensive. Janelle: Any other parting words for our listeners, Vanessa? Vanessa: I appreciate the time that you spent with me and I hope that everyone who listens feels energized and enthusiastic about maybe taking that next step, and I wish everyone very great success. Janelle: Thank you. Thanks, Vanessa, for coming on with us today. It was very nice discussion and was valuable too. Online programs like the one at Post are an excellent way of providing educational opportunities that might not otherwise exist for a whole segment of the population… like the Vietnam vets that Vanessa mentions. Great work Post University! when students wanted more flexible learning options, They became a pioneer in online and hybrid education. 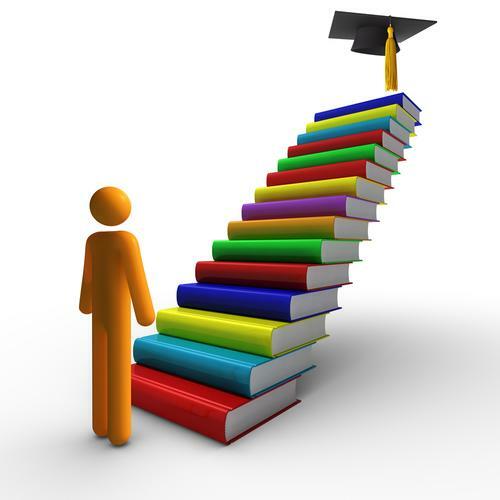 Today, high quality online education and exceptional student support services, is very important. You can live and learn on our traditional New England campus and experience our dynamic culture and tight-knit community. You can also learn completely online, or in an evening and weekend format.